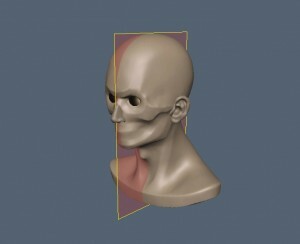 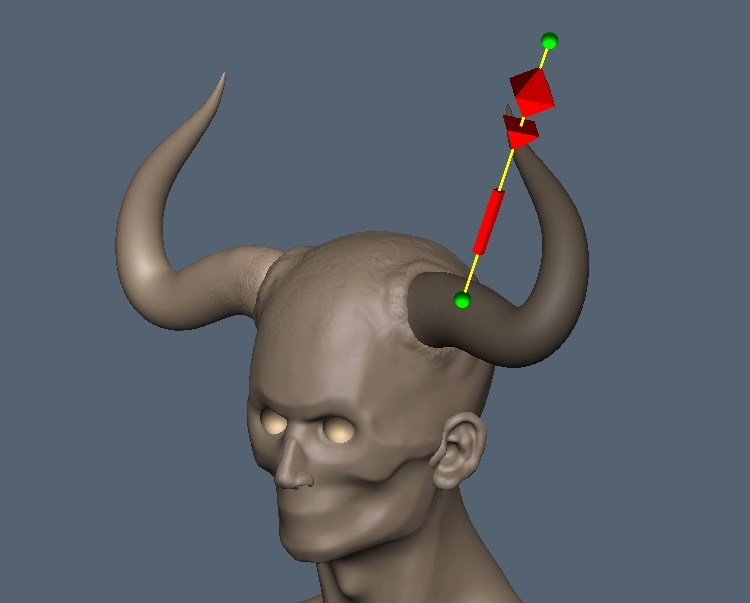 If been asked how to sculpt horns for a character. 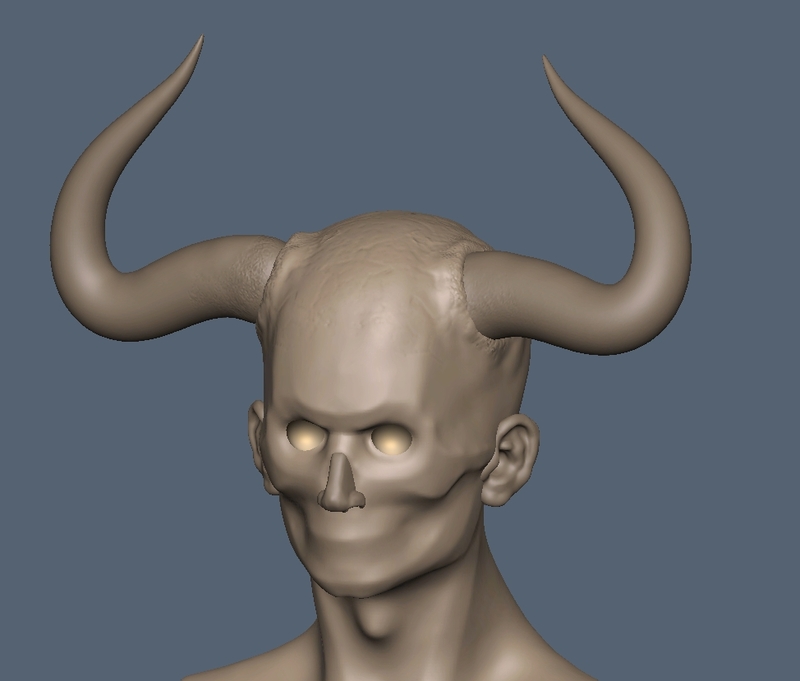 Well, personally I am not so much fascinated by horned characters cause there are so many of them available on 3D platforms, but actually it is very easy to create them with 3D-Coat, so here is a short tutorial about that. 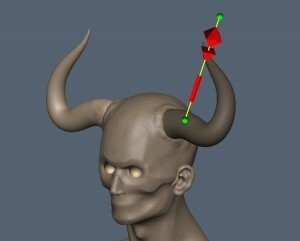 Like in the image above we keep x-axis symmetry turned on to produce 2 horns. 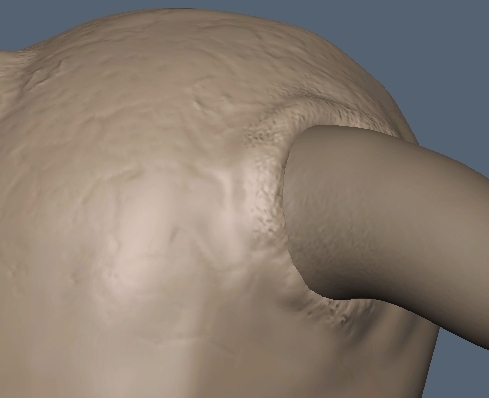 The first thing we do after assigning a nicer shader for the demo head is to create a new layer in voxel tree on which we create the horns. The advantage of this is that we can manipulate the objects more easily later on like rotating, moving and scaling them or applying another shader or texture for it. 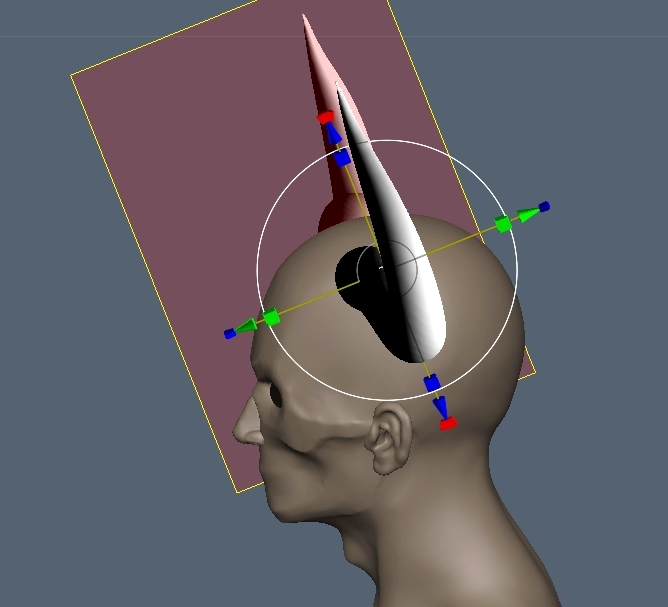 For creating horns there is a tool that really fits our needs nicely, the Spikes tool. As you might guess you can create spikes with it. Just choose the tool, select a starting point and drag your spike into the viewport. 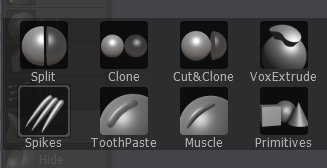 Play around with it until you have the shape you like, if not Ctrl-Z is your friend.